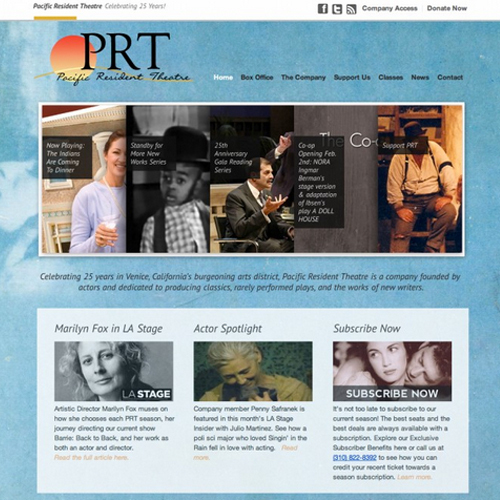 The Pacific Resident Theatre is an independent theatre that has been a staple of Venice, California’s art community for 25 years! We were privileged to have the opportunity to help them launch a brand new website, theatre archive, and members-only portal. 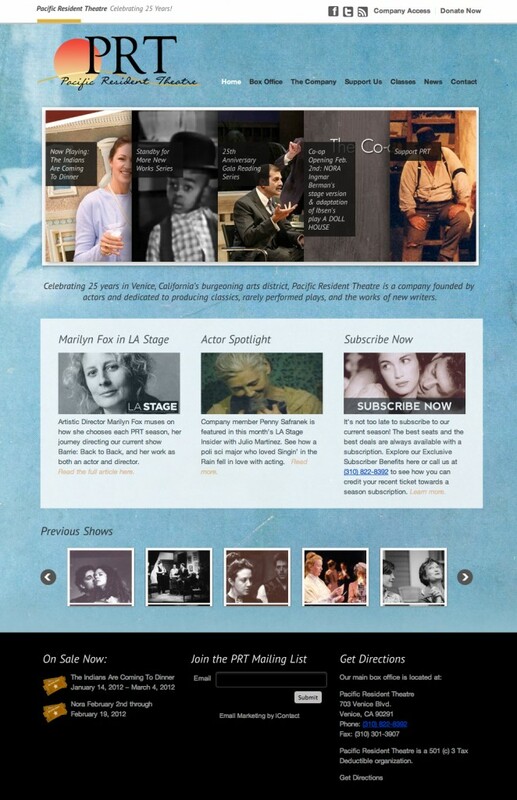 Coming from an older HTML design where updates were done manually to the code, the theatre and their staff can now make updates to their website more freely with WordPress powering their new website. This project also included a show calendar, and integration with ticketing software TicketTurtle.com.